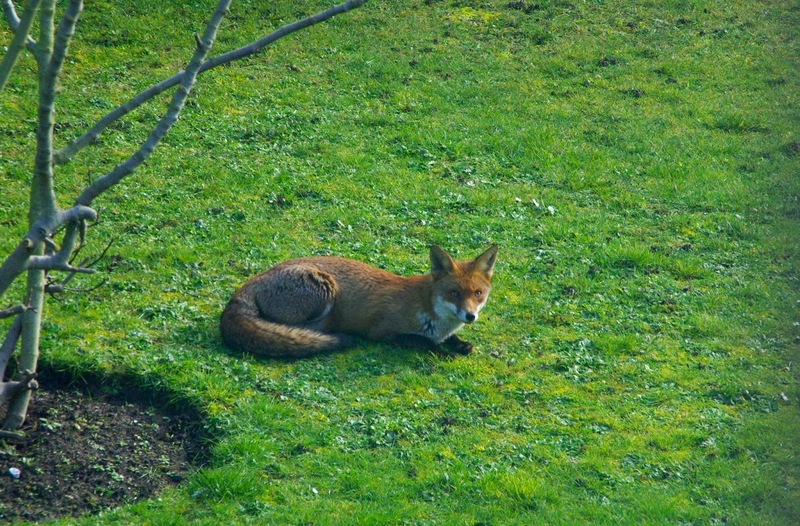 Sitting in my study working on a presentation for Friday, one of our local foxes has wandered into my garden to bask in the late winter sunshine. Despite all the recent bad weather, she looks health enough. On another subject entirely, I've this morning, sent out Freedom of Information requests to Kent Police, the Police Commissioner's Office and Thanet District Council, requesting the costs to the police in pursuing a recent harassment complaint that has involved me. The cost to Thanet District Council of multiple FOI and subject access requests from a single individual and details of any correspondence between the office of Ann Barnes and Kent Police in regard to an on-going investigation involving cyber-bullying, local councillors and harassment. I expect to wait some time for the replies. I have often wondered how much FOI requests cost TDC. In my quest get to the bottom of the art and artefacts issue I have never put in for one FOI request for years.l have relied entirely on my own research and I know I have won the arguement at my own expense. Many thanks.. not familiar with that name! Simon I am awaiting a reply from Anne Barnes as to why she saw fit to re open a closed case will let you know the reponse. I'll be interested to know how much a subject access requests costs TDC to perform. It's all very well if what you want to know can be discovered without using such facilities, but as it is not easy to obtain facts from TDC, some of us have to resort to this as a means of obtaining information. That said, in our case, any info re cost would need to be taken with a pinch of salt, given that TDC seem to have a very odd way of filing information given to them. I had need to send in certain photos to support something I was saying to Mr P. When the SAR was made, I recived these photos back - in some cases up to 20 copies of just one of the photos; multiple copies of all of them, rather than simply one copy of each, which was what I'd sent in! When I queried this 120+ pages of photographs being sent and the cost in time and paper and ink etc Mr P told me it was because of the way the photos were filed...and that it was my own fault I received so much back as I had sent in the photos!!!!! Obviously, sending back multiple copies of each photo when I had only sent in one of each photo is madness!!!! It would seem that certain staff at TDC need some lessons in common sense when initially filing info received from residents in order to maximise efficiency and minimise costs when they have to send out info as part of an request! Thanks people. What I would really like to see is the police, after several weeks and now pressure from the media, reaching a decision on the investigation. Bernie, I'm absolutely astounded. Unless there is some archaic rule about electronic storage of photographs, and Simon might know, then a photograph need only be scanned into the system and made available to those who need access. And of course the photograph/s could have been sent digitally too. Presumably the photographs were printed on the appropriate paper and not on plain paper. Keep up the pressure, Simon. One should never let ones accusers hide in the shadows.